Although Curacao’s reefs are beautiful, healthy and full of life, they need help to stay that way. The Dive Bus Sustainability Policy* is a BUNCH of simple, fun ways to protect our oceans and make a difference. 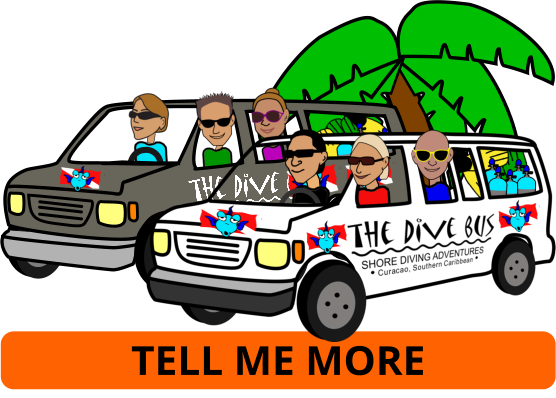 Although we don’t take life too seriously, too often at The Dive Bus, diver safety, sustainability and ocean protection are notable exceptions. Because it’s not new news that coral reefs – and the massive, vital eco-system of which they’re the backbone – are in rapid decline. The good news is that because divers get to see coral reef damage and decline, first-hand, we’re uniquely motivated and able, to do something about it. through the above, maximise our positive impact on our oceans. No matter how near or far you live from the ocean, chances are that your trash goes there more often than you do. And it gets there much more quickly and frequently when you’re vacationing on a Caribbean island, with constant trade winds. 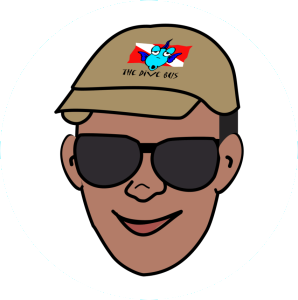 Curacao’s first 100% AWARE Dive Center, The Dive Bus makes a donation to ProjectAWARE for every PADI dive course certification issued by the almost world famous Dive Bus Crew. You receive a special Project AWARE version of your PADI certification card, and information about Project AWARE’s areas of focus and concerns, so you can make a bigger difference by further supporting them and their actions, if you like. If you don’t know that something you’re doing can have a negative impact on the very thing you’re diving to see and enjoy – how can you do anything about it? The Rules of the Reef poster in The Dive Bus briefing area and on the Dive Buses, should help. Please take particular note of #5: it’s forbidden to remove anything from the ocean, except trash. (Even that must be removed carefully, to avoid doing more harm than good). If you’re not one of the millions following Project AWARE’s 10 Tips for Divers to Protect the Ocean Planet, you might want to take a minute to check them out. This ethic or code is followed by millions of scuba divers to dive by, and anyone and everyone to live by. 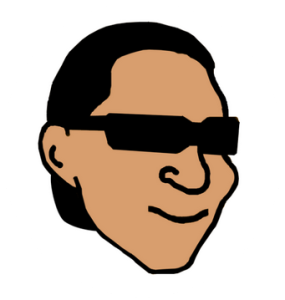 You’ll be pleasantly surprised by how easy the Tips are to follow – and how many you’re probably already following. And of course, there’s a bunch of fun PADI dive courses to improve your knowledge, awareness and dive skills, so you get more from every dive and reduce any negative impact. Everyone has – or will – dive with that guy. The one with the gigantic camera rig, crawling all over the corals and pushing you out of the way so they can get the perfect shot? Don’t be that guy. No shot is worth damaging the reef for – or ruining everyone else’s dive. This giant poster in our dive briefing area and on the Dive Buses is a reminder how to get awesome photos and video – without being that guy. And if you (or your dive buddy) might be that guy? We can fix that in half a day. We’ll correct your weighting and dive positioning, making your diving effortless and improving your air consumption. With these news skills, you’ll become a more comfortable and confident diver, able to notice and enjoy more on every dive – and much less likely to damage fragile marine life and / or annoy fellow divers in the process. Curacao’s first dive center to Adopt a Dive Site through the Project AWARE initiative, we run free Dive Bus Clean Up dives every month. 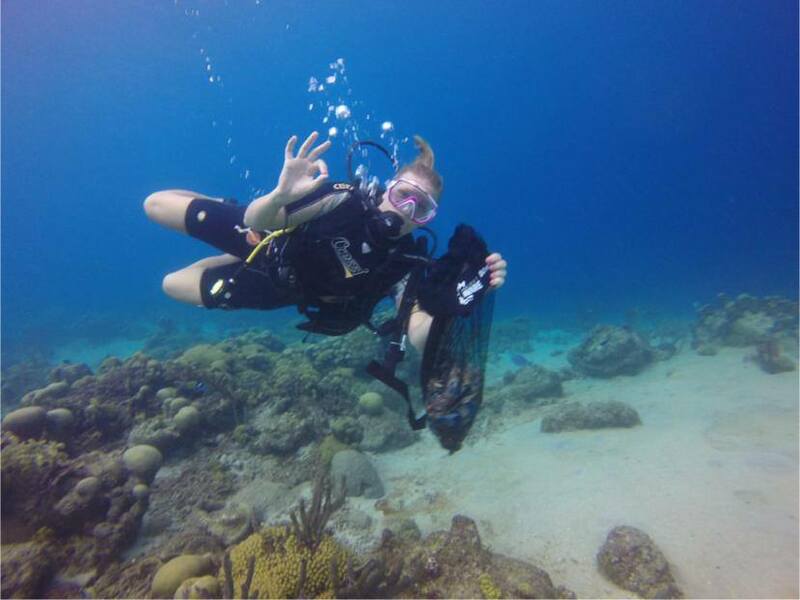 With other Curacao Dive Task Force dive centers joining the initiative, there are FREE Clean Up dives around Curacao – every weekend. 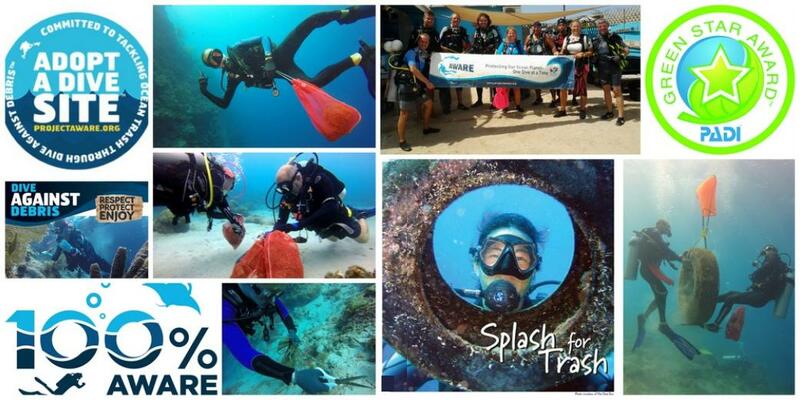 Data about the trash collected on each Clean Up dive is submitted online to Project AWARE. They use this vital, real-time marine debris data to identify, monitor and tackle underwater trash issues, worldwide. Hands-down the most popular Specialty course at The Dive Bus, you’ll come away from the fast-paced, highly practical Project AWARE Dive Against Debris course bursting to implement ideas for preventing trash reaching the reef in the first place. 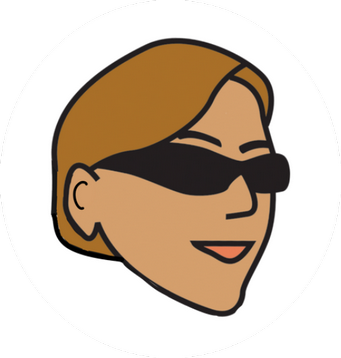 And, as with any dive course you take with The Dive Crew, you’ll receive a special 100% AWARE version of your certification card. There’s so much we can do to make a difference, it’s pretty overwhelming. 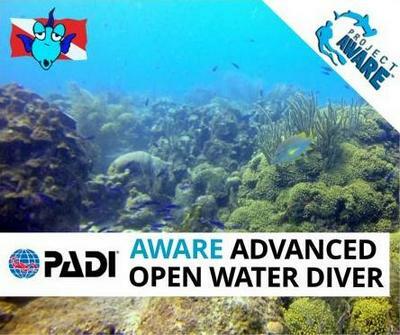 To fix that, we took one of our most popular dive courses – PADI Advanced Open Water Diver – and worked with our buddies at Project AWARE and PADI to build a special version of it. "I've been cleaning up fishing line and fishing lead on pretty much every dive for as long as I can remember. My divers always ask what I'm doing and why, and I'm happy to explain - and how we re-use the lead to make some of the weights that they're actually diving with. I love that they love finding out where some of their weights came from. It's a great motivation for them to see a direct, positive outcome from taking care of our reefs, and they're more likely to join in and do the same." "I love showing divers the small stuff that they might not notice otherwise. It makes them more aware of what's around them when they're diving, how fragile it all is and how we all need to take care of all of it. These days I spend more time in the dive shop than underwater, and it's amazing - and very cool! 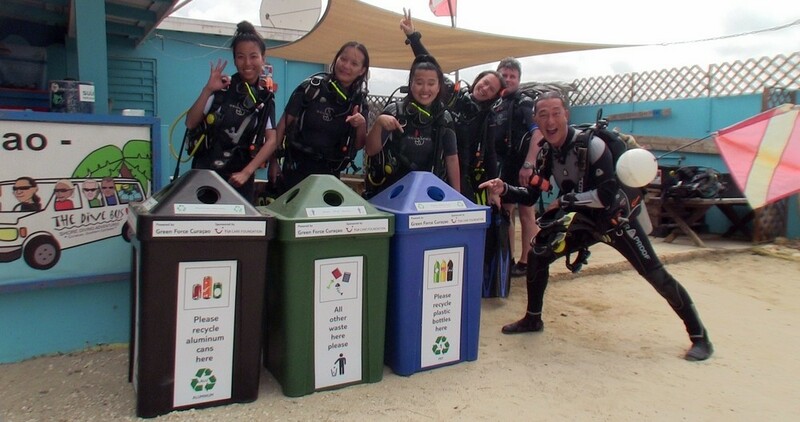 - how many of our divers comment on and support our efforts to take care of our ocean environment, together. " "I love fixing things and making them better. So I really enjoy showing divers tips and tricks to make them better divers, by better managing their buoyancy and equipment to be able to relax and enjoy underwater. That way, they get to see more on every dive without (unintentionally) causing damage to fragile marine life." 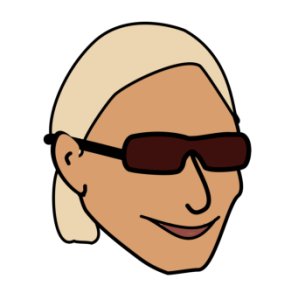 "Most of my pro-diving career has been in the USA, although my dive adventures have taken me all over the place. In my experience, it's unusual for overseas dive centers to take ocean protection as seriously as US and Canada centers, and opportunities, and overseas dive facilities can be harder to find. I'm loving that everyone on The Dive Bus Crew takes ocean protection so seriously, whilst making it easy and fun at the same time. So I'm very happy to be a part of this 'unusual' one!" "It's awesome that I get paid to share my enthusiasm with diving, by teaching other people. I love explaining how marine life works and exists together, and the importance of keeping our reefs clean and protected, for the marine life that can't survive without them. My favourite dive course to teach is the Dive Against Debris Specialty. The participants - divers and their non-diving friends and family - are always amazed by how much damage we cause to our oceans unknowingly. Then, they're super-excited to discover how easily we can start fixing it - and more importantly - preventing it happening again. Very cool!" "We incorporate reef and ocean protection initiatives into everyday life at The Dive Bus as much as possible, to make it as easy and fun as possible for our divers to support and get involved with. PADI and Project AWARE are thrilled with what we and our divers are achieving, and other Curacao CHATA Dive Task Force dive centers are rolling out similar initiatives across the island, positioning Curacao as the AWARE destination that it is. 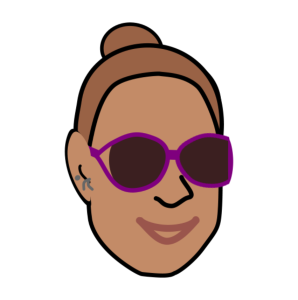 To keep to date with new initiatives and more easy ways to make a difference, check out and subscribe to The Dive Bus Blog."